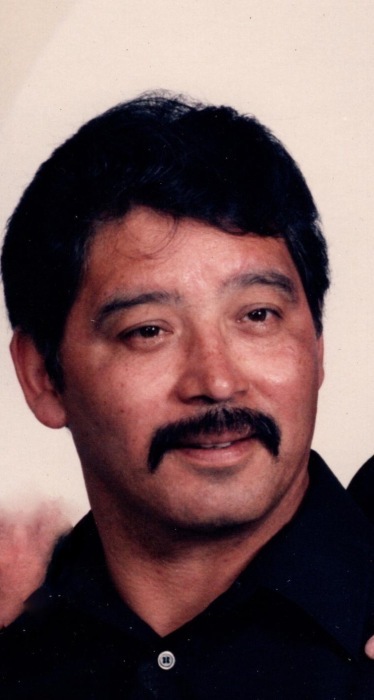 John T. Castillo age 71 of Hammond, passed away on Friday November 9, 2018. He is survived by his wife of 26 years Shirley; children John Joseph (Veronica) Castillo and Crystal Marie Mendez; step children Andrea Kane and Melanie (Chris) Garcia; grandchildren Corrine, Elisa, Carlos, Marissa, Jeffrey, Michael, Latonda, Antonio, Crispin, Ashley, and Chase; 12 great grandchildren; Mother Trinadad Castillo; siblings Rudy (Grace) Castillo, Robert Castillo, Ricky (Rosa) Castillo, Ruben (Hilda) Castillo, Elizabeth (Navin) Garcia, Roger (late Sylvia) Castillo, Marie (Robert) Moncado; numerous Aunts, Uncles, Cousins, Nieces, Nephews, Great Nieces, and Great Nephews. He was preceded in death by his father Rudolfo Castillo. Memorial services will be held on Tuesday November 13th at 5:00pm at White Funeral Home located at 921 W. 45th Avenue Griffith, with Fr. Frank Torres officiating. Friends may meet with the family on Tuesday November 13th from 2:00pm-5:00pm at White Funeral Home. John was an Army Veteran and retired from Inland Steel after 42 years. John loved fishing, hunting and walking, spending time with his family and grandkids.